University of Georgia Bulldogs football news and coverage from SEC12.com. The University of Georgia Bulldogs football team is a member of the East Division of the Southeastern Conference. The Georgia Bulldogs football team is one of the most successful programs in NCAA history. Since football at UGA began in 1892, the Dawgs have won two NCAA National Championships and 12 SEC Football Championships. Georgia plays its home football games in Sanford Stadium, also known as “Between the Hedges”. The official site of the Georgia Bulldogs Football Program is GeorgiaDogs.com. The Head Coach of the Georgia Bulldogs Football Team is Kirby Smart. The University of Georgia was incorporated on January 27, 1785, by the Georgia General Assembly. Located in Athens, it was the first state-chartered university in the United States. The University of Georgia is the largest university in the state of Georgia, with 33,831 students. The University of Georgia Academic website can be found at UGA.edu. Gameday Gameplan has an outstanding collection of Georgia Bulldogs Football Information featuring traffic tips and directions, Sanford Stadium parking info, UGA Gameday activities, and interactive University of Georgia Gameday maps. The Georgia Bulldogs home football stadium, Sanford Stadium, opened in 1929. Sanford Stadium’s famous hedges have encircled the field since the stadium’s very first game against Yale in 1929. The stadium has since grown to an official capacity of 92,746. The most popular message board forums for Georgia Bulldogs Football are Dawg Chat, from Rivals, and Dawg Run, an independent, popular Georgia Football Forum. SicEmDawgs.com…Georgia Bulldogs football, basketball, and recruiting. Georgia Sports Blog…UGA News and Information. DawgsOnline…Insightful commentary on the Georgia Bulldogs since 1995. Junkyard Blawg…Lifelong Bulldog Bill King offers a fan’s perspective on UGA sports. Get the Picture…Bloviation for the Dawg Nation. UGA Sports…Member of the Rival.com network. Dawg Post…Member of the Scout.com network. Dawgs.com…Unofficial website of the Georgia Bulldogs. Red and Black…Official University of Georgia Campus Newspaper. 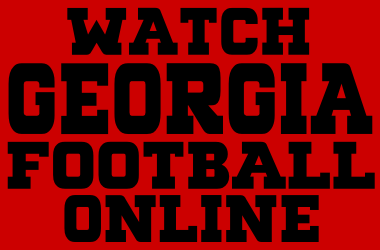 Online Athens…UGA Football from the Athens Banner-Herald. Atlanta Journal-Constitution…The source for UGA Sports.